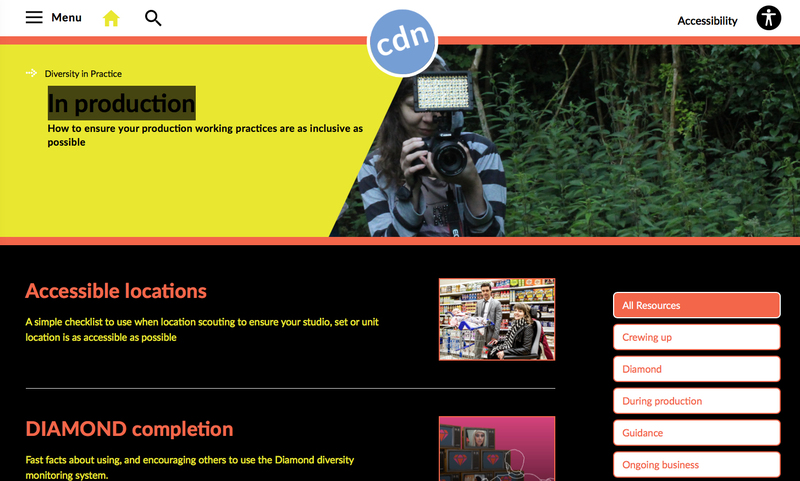 Earlier this year the leading international news brand CNN launched a quarterly Job Shadow scheme for disabled and BAME people to spend a week experiencing every area of its Londonnewsroom and this has proved to be extremely popular and useful. CNN has a long-running and very popular internship scheme which takes on graduates for three months but because it is so competitive and over-subscribed the company has launched this scheme for disadvantaged people who might not otherwise have access. A typical week on the scheme will see them spending the first day being shown around CNN and Turner’s other channels including Cartoon Network and TCM, the editing suites and playout areas. Another day takes the participants to the CNN features team, then working on a live show, the sports desk, the planning desk, the business desk and going on a shoot with a news crew. This is useful experience for the participants to include on their CV and should give them a great advantage when applying for a position in TV news in the future. (http://www.renaissance-foundation.com/) and was picked because of his tremendous energy and enthusiasm. I have had an amazing time at CNN this week and feel like?everyone I have spoken to has been really nice and very accommodating, he said. I have heard so much valuable advice and feel really inspired from seeing everyone at work. I’m really happy that I have been a part of it, getting involved with so many departments and seeing the different ways they work. I had a brilliant time at CNN and would like to say a huge thank you to all the staff and interns for their time in letting me shadow them throughout the week. I didn’t realise just how much goes on behind the scenes to put on a live broadcast until I did this, it was excellent. For application forms and more details on how this quarterly Job Shadow scheme works please contact nick.hart@turner.com. apprenticeships, work placements, dedicated training opportunities and open auditions. Our introduction to Taking Action also contains many useful ideas and examples from across the industry.